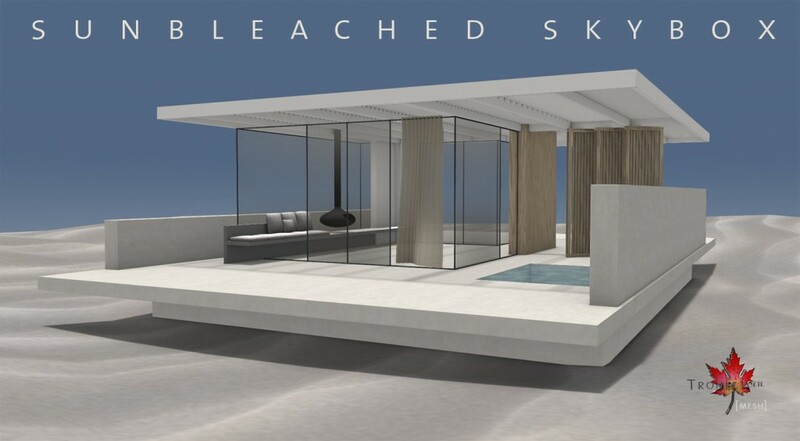 The July heatwave is here and our Collabor88 contribution this month is a sleek lightweight desert skybox with matching furniture, perfectly suited for soaring temperatures! 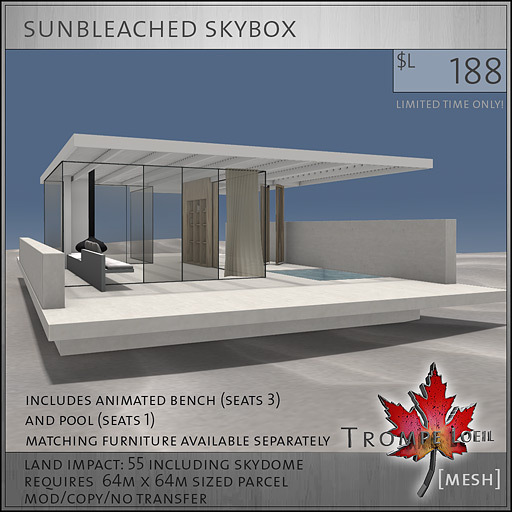 Simple, modern, and only 55 prims, our Sunbleached Skybox includes a built-in bench that seats three with 4 animated poses per seat, and a private pool that seats one with 3 animated poses included. 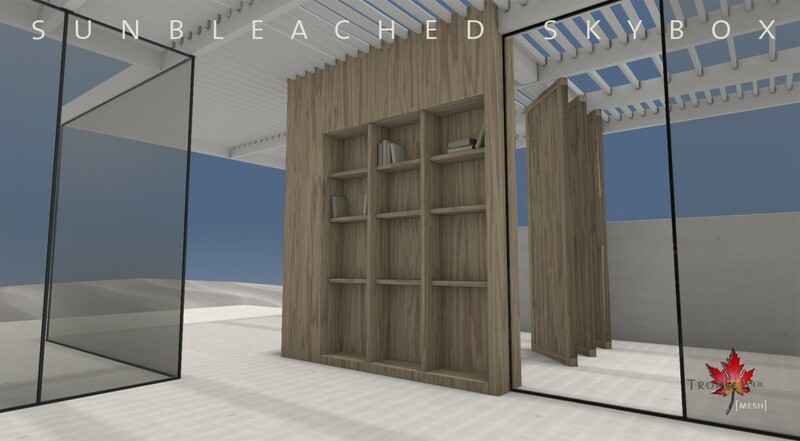 Bleached blonde wood is used to craft the bookshelf, with decorative books included. 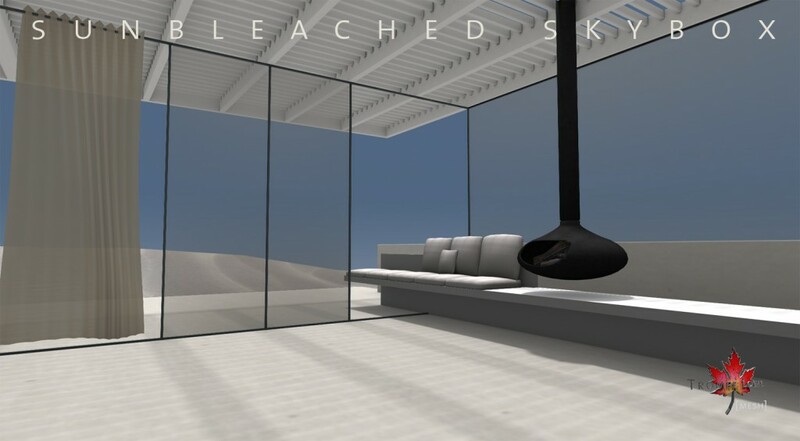 The surrounding desert (not walkable for low-prim purposes) and skydome make a perfect private background for photoshoots. 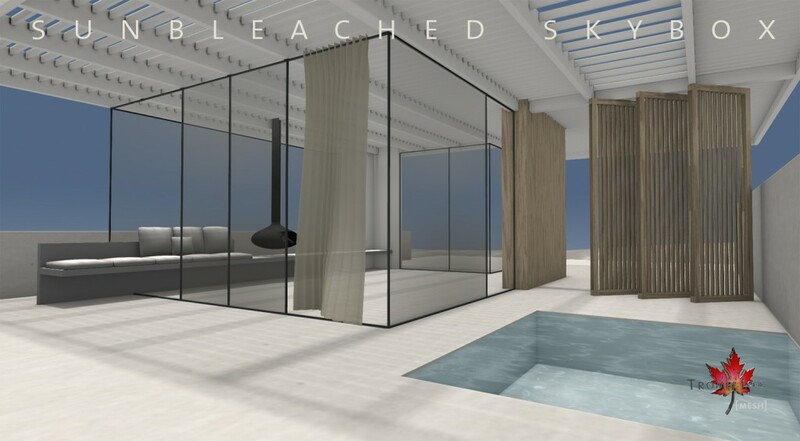 Available separately, our Sunbleached Furniture selections fit perfectly in our Sunbleached Skybox or anyplace in your home! Pick them up exclusively at Collabor88 during the month of July! 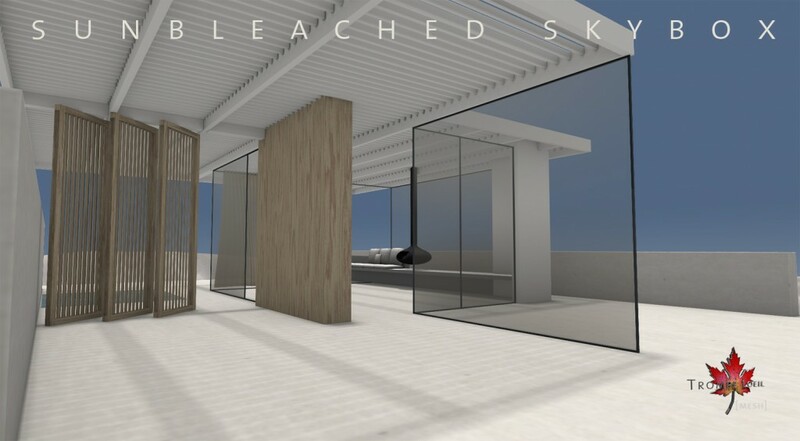 Garden Bench & Planter in four color options for Spruce Up Your Space! Tower of the King Skybox for Collabor88 August!